Spread of Dangerous Bacteria and Mold! Air Conditioner Blockage and Damage! Indoor air quality is one of the top five environmental health risks of our time, according to the EPA. Germicidal ultraviolet lights (UV), when properly integrated into a heating, ventilating and air conditioning (HVAC) system, are an effective method for preventing indoor air contamination from spreading throughout your home. Germicidal ultraviolet light penetrates the cell walls of micro-organisms present in your air handling system, causing cellular damage, either killing the cells or preventing them from reproducing. The UV Light System is installed in your air handling system by licensed professionals. 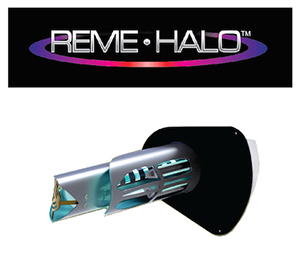 The germicidal ultraviolet light rays produced by the UV Light system destroy micro-organisms that collect inside to help maintain a germ-free environment. UV lights provide a healthier living environment for your family, enhance air flow, help reduce typical household odors and improve your air handling systems efficiency and performance, which can help reducing your operating costs and extending the life of your system. For more on UV germicidal lamps or any of our other products and services, please contact us today. Don’t forget to ask us about our exclusive 100% Satisfaction Guarantee!